Tosibox - World's First Patented Hardware-based Remote Access Solution | Brenner-Fiedler & Associates, Inc.
TOSIBOX is a patented innovation, a solution that lets you forget about data security and connections. With it, you will save time and money, and be able to concentrate on what's important - your business. TOSIBOX is the world's first patented hardware-based remote access flexible and expandable solution. It takes less than 5 minutes to deploy and connects almost anything to any network with high-level data security. TOSIBOX® delivers high-level security. It employs PKI using RSA and multi-factor authentication coupled with TLS, Blowfish and AES encryption standards, so you can rest assured that access to your data and networks remains private and secure. A security company of the year, TOSIBOX® also offers an additional layer of security by acting as a firewall in most implementations. The technology does not require third party interaction (cloud). The Lock’s Plug & Go™ connection method is patented worldwide. The information security of Tosibox products, services, and operations are officially audited. 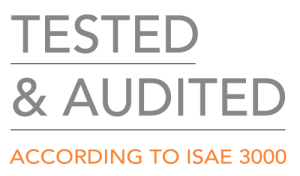 The security audit was conducted by a global independent company according to the ISAE3000 Assurance Standard and the controls and content of the audit were based on the ISO 27001:2013 standard and the OpenSAMM Software Assurance Maturity Model. With TOSIBOX®, scalability is limited only by your imagination. As the world's first and only self-creating, self-healing industrial networking device, TOSIBOX® enables secure remote access, real-time data collection, and provides the most cost-effective, easy to set up and expandable solution that will grow with your business.